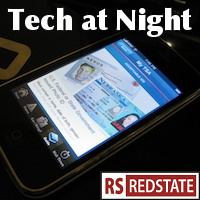 Tech at Night: MSNBC commentators are idiots. Pandora loses. Aereo must prevail. Tech at Night: Anonymous and Bitcoin, same as they ever were. OGRE has arrived. I do apologize if I don’t go as in-depth tonight as I should. I think I’m coming down with something. There goes Pandora. They appear to be giving up on getting their law passed that would give them a sweetheart regulatory deal, stomping on any need they’d have to negotiate in the marketplace. They don’t want competition or a marketplace. They want a command economy for music expanded beyond the insane system we already have in place for terrestrial radio. It’s good we’ve defeated their legal aims. Speaking of picking winners and losers in regulation, here’s why they’re trying to kill Aereo. Broadcasters and cable companies are feeling threatened by the loss of revenues that are threatened by the push to go back to free terrestrial broadcasts, and we can’t let them get away with using government to prop themselves up. MSNBC commentators don’t understand the law, surprise surprise. Speaking of using government to prop themselves up, it’s insane that we have laws in place to enforce sports blackouts. The John McCain law may go too far, but the concept of repealing blackout laws – effectively a subsidy for a large, profitable industry – is one I support. You know, as much as I’m in favor of reasonable copyright reforms in this country, the whines of the anarchists about Australian copyright are totally unsympathetic. When your complaint is that you can’t make uncreative derivative images to snigger at online, you’re making a terrible case. And that’s one thing we need to watch for in Trans-Pacific Partnership treaty negotiations. I’m hearing that countries like Mexico want to dictate copyright law to us, in an attempt to hinder our innovation climate, and make it easier for other countries to compete. We must reject such provisions. The next time the Democrats try to tell us we need new regulations for cybersecurity, ask how such regulations will stop the Chinese. Bitcoin and crime: hand in hand. Here’s a great story about regulation. Foreign-based Skype got a head start in the marketplace over an American company because of regulation. Aaron Swartz continues to get celebrated, whitewashing his premeditated criminal activity as ‘hacktivism.’ Note the use of Anonymous slogans in the Daily Dot piece, connecting Swartz’s legacy to the anarchoterrorist group. The NSA and FISA are important, but but there are safe ways to bring transparency. Google on this is right.